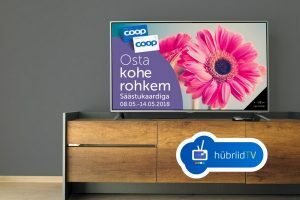 Estonian HbbTV platform operated by Levira has introduced direct mail offers via smart TV sets. Levira’s customer is Coop Estonia, the oldest grocery store chain in Estonia. Coop is sending promotional magazines to homes but with Sofia Digital’s implementation the same can be done digitally to the big screen. The solution includes also a competition to win gift coupons for participants. The implementation provides consumers with a new and interesting way to browse the promotional magazine and for the advertiser it offers a new channel to bring the advertisements to television. Traditional TV commercials have included only a select few spearhead products but this implementation makes the whole magazine available via the TV remote control. Additionally it is possible to collect the consumers’ contact information. The solution itself is very simple to use. Viewers can browse the advertisement magazine’s pages with arrow keys and there is also a competition page, where one can give one’s phone number for the lottery. “It is an eco-friendly solution, it can be measured and different interactive call to actions can be brought out on the TV screen, so we find the offered solution has high potential to replace or supplement the traditional direct-mail market. 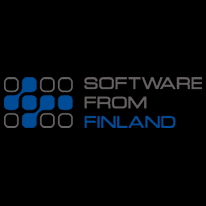 We are very satisfied with Sofia Digital in co-operation and looking forward to launch different innovative projects already in this year”, said Estonian HybridTV product and content manager Andres Tarto. Levira is a digital services company, offering TV and radio network services and operating the DTT platform incl. HbbTV in Estonia. Headquartered in Tallinn, Levira also runs one of the largest datacenters in the Baltics and is the largest provider of TV play-out and media services in Northern Europe. Levira helps local and international media companies to design TV channels and ensure that the programs are on air 24/7 and 365 days a year. 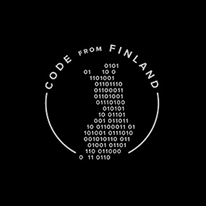 Levira transmits programs to viewers in the Baltic States, Scandinavia and Europe as well as Turkey and United Arab Emirates. 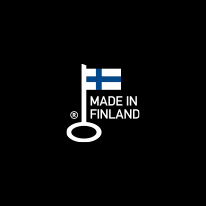 Levira’s clients are regional and international broadcasters, IT companies and media service providers, including Discovery, Sony, Viacom, Viasat World, EBU, ATEA, Estonian Public Broadcasting, Eesti Meedia, All Media Eesti as well as major telecoms, such as Telia, Tele2 and Elisa.